I love Halloween... but not the scary side... the mystical, dark, turning in side of Halloween. I never liked the blood and gore decorations, so I set out to make some decorations that were my idea of what the All Hallows Eve story was all about. 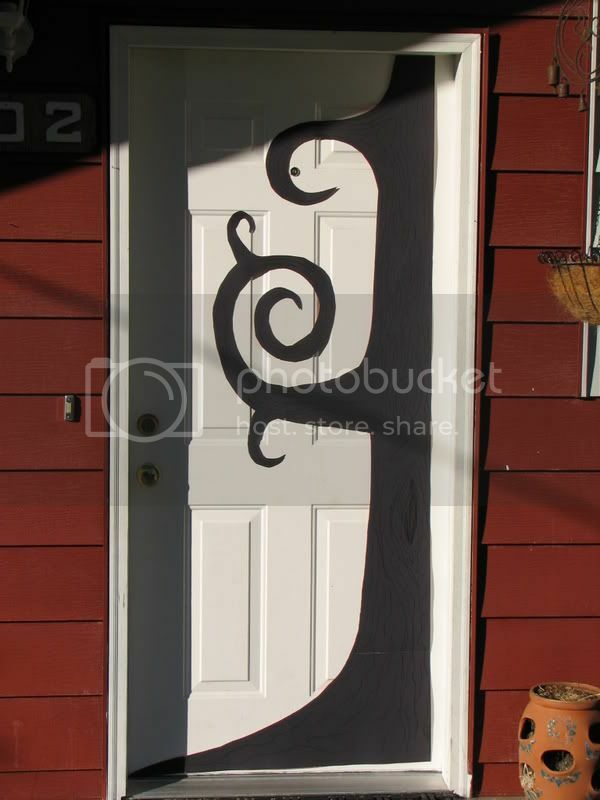 I got the inspiration for the door from World of Warcraft, actually. A pattern similar to this was in one of the elven houses on a tapastry. Just goes to show that inspiration comes from anywhere. Then I remembered this from an OLD Martha Stewart like two years ago or something (I just LOVE her Halloween, Thanksgiving and Christmas issues. I actually buy them at full price even now ) and thought I would try it. 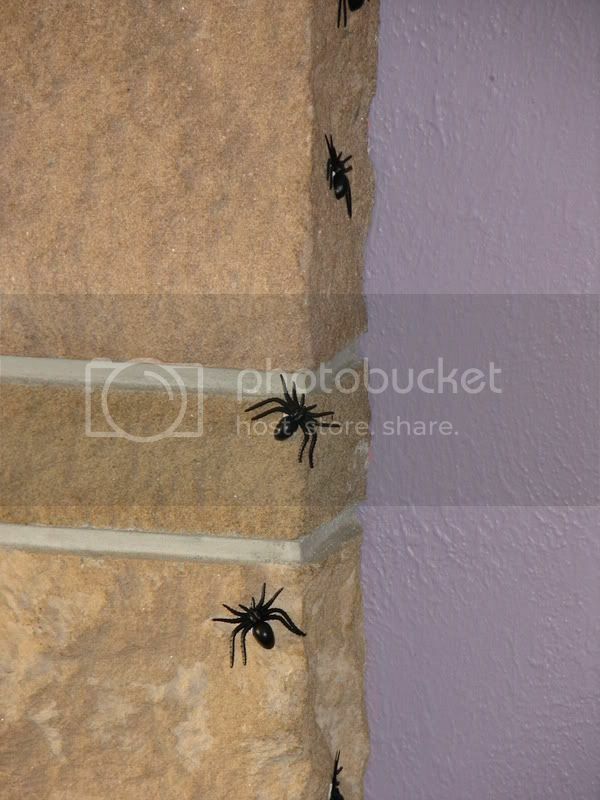 Cost: $2.99 for the bag of spiders, and $2.69 for the sticky tac. And I just LOVE it.